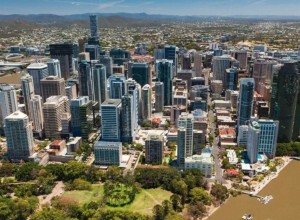 Is the Brisbane economy really picking up? And if so, what does this mean for our property markets? A little over 12 months ago, many of the leading indicators of the Brisbane property market were starting to turn around. At the time people were just starting to return to the sunshine state after a period of record low immigration following the mining downturn. Following the mining boom jobs were disappearing and without the employment, people were looking elsewhere and moving for better job security. Over the last few years some commentators told us it was Brisbane’s time to shine, when that just wasn’t possible with almost no jobs growth and a sharp decline in our population growth. But over the last year things had begun to finally turn the corner. So what are the numbers showing now? Jobs are what drives economic and population growth. 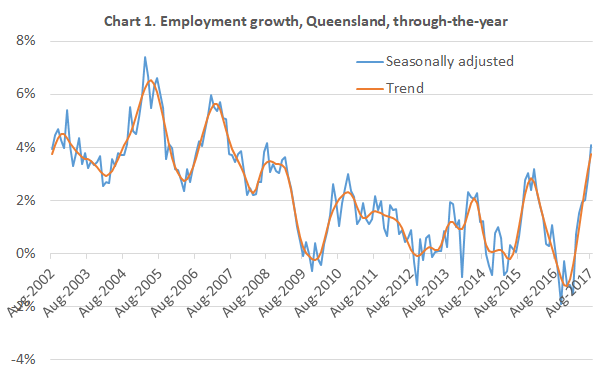 As you can see above more jobs are now being created in Queensland. And this time, the majority of these jobs are being created in Brisbane as our economy matures from seasonal pillars like tourism and mining into a more services and professional based economy. Population growth will only continue with a multitude of construction projects including the CBD expansion and the second Airport runway. Add to that an increase in infrastructure spend on things like our major highways and roads and the budgeting for the Cross-River Rail Network and there will be plenty of opportunities for those looking for work. All of these projects are scheduled for completion around 2020/21 when there will be even more jobs available in our new economy. We know more than 10,000+ jobs alone will be created by the Queens Wharf Project and then there is the Airport precinct expansion and our hospitals and lifestyle precincts. Over the next few years we will be creating more jobs here in Brisbane than we ever have before. With jobs come opportunities and people are now moving to Brisbane for employment. With a surge of overseas and interstate migrants, our population is heading north once again. 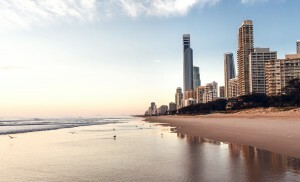 Queensland is back on top with nearly 24,000 people making the move over the last 12 months, which is almost 10,000 more than any other capital city. This trend will only continue as our city starts to change significantly and come of age. The population of Queensland also recently ticked over the 5 million mark. These new residents will be looking for housing and accommodation close to where they are working and where the bulk of the jobs are. In most cases that will be Brisbane and within a 5-10km radius of major employment hubs like the Brisbane CBD and the Brisbane Airport. The signs are going from strength to strength for the Queensland Economy. Importantly it is the jobs growth that has started to ramp up after several years of low to no jobs being created. A host of major infrastructure projects, combined with a number of key construction projects will expand our major employments hubs and promote further jobs growth. They will be the cornerstone of transforming Brisbane into a new world city. More jobs are now attracting record numbers of people back to Brisbane chasing employment, security and an affordable lifestyle in the Queensland capital, spurring growth in the economy. This clearly represents an opportunity for property investors to take advantage of the demand for housing which will rises sharply around these expanding employment hubs. It will be the known, proven and trusted Brisbane suburbs they turn to and these are the locations we will be capitalising on for our clients at Metropole.